B. F. Dowell House #1 | Historic Jacksonville, Inc. The B.F. Dowell house at 475 N. 5th Street is one of the earliest Italianate style homes built in Oregon. 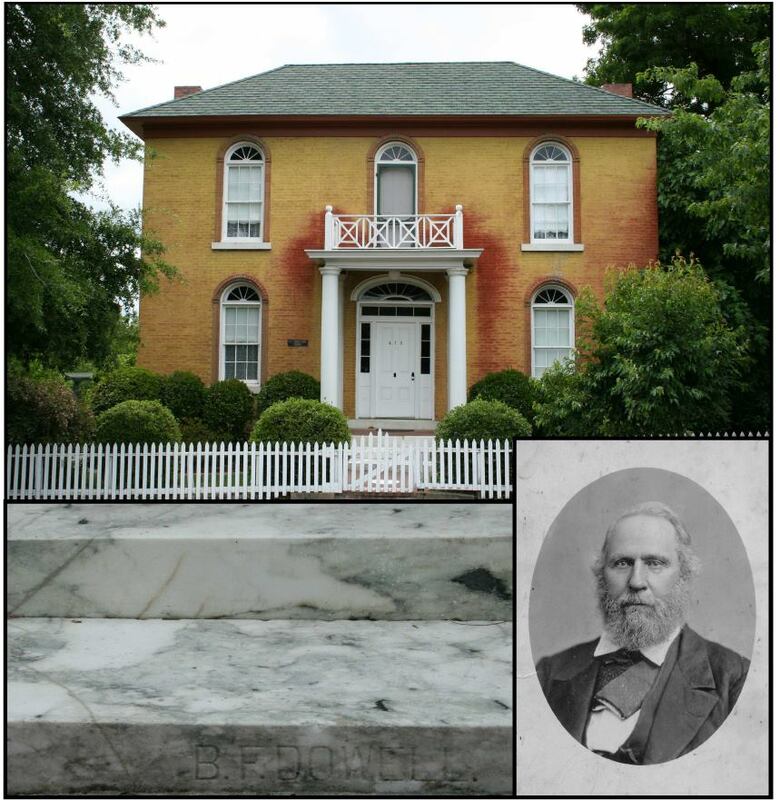 Constructed in 1861, it may also have been the first home in Jacksonville to be built of brick. Most homes of the period had wood burning stoves for heat, but this distinctive home has 4 fireplaces—one of black onyx and 3 of marble. The marble probably came from Dowell’s own marble quarry on Williams Creek. That same marble was also used for the porch steps and all the window sills.